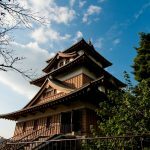 Iwamura castle was a mountain castle that was built at the highest place of all the castles in Japan, and it was owned by Kageto Toyama. 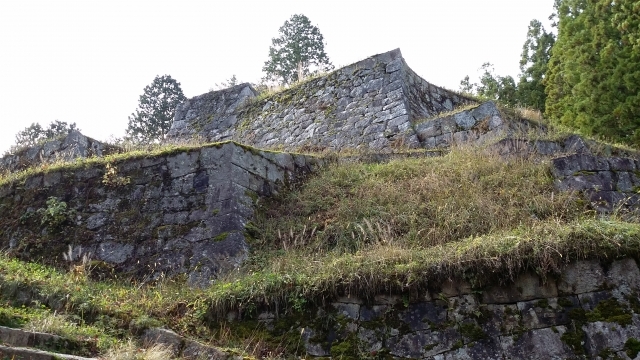 Iwamura castle was a mountain castle that was located in Iwamura in Gifu prefecture. 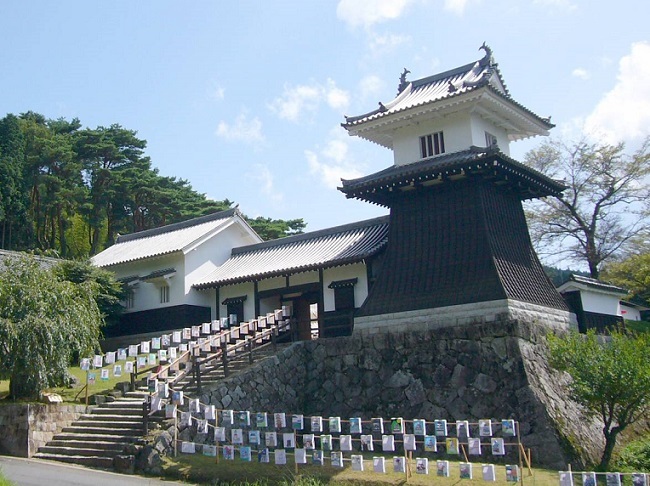 Iwamura domain’s Hancho (domain administration building) was also there during Edo period. 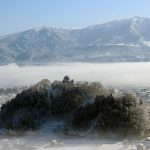 It was also called Kiriga castle (fog castle) since the area was famous for fog. 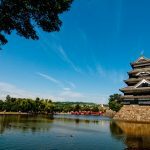 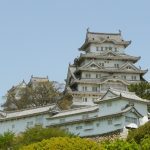 Honmaru existed at the highest point above sea level, 717m, compared to all of the other castles in Japan, so the castle is considered as one of Japan’s three largest mountain castles. 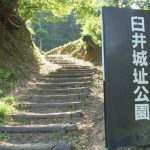 Kagekado Kato, Minamoto no Yoritomo’s vassal, received Mino no Kuni’s Tosanso, and his son Kagetomo continued to govern this place as Iwayamatoyama-shi until Sengoku period. 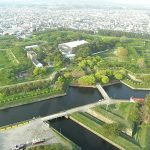 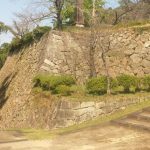 ※Iwamura castle was originally located at the lower point of the mountain peak, but its Honmaru was built on top of the mountain during Sengoku period for protection. 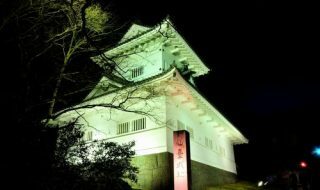 Kageto Toyama was the owner of Iwamura castle when the Oda family and Takeda family continued to fight there during Sengoku period, and his wife was Nobunaga’s aunt. 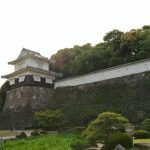 In 1571 when Kageto died, Nobunaga Oda sent his 5th son, Katsunaga Oda, to the Toyama family to strengthen their relationship. 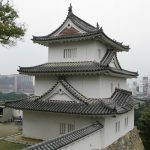 Kageto’s wife was the owner of the castle since Kageto’s death, but the castle was attacked by Nobutomo Akiyama who was on Takeda’s side, leading her to surrender and marry Nobutomo Akiyama. 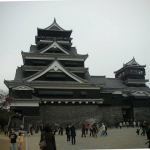 Nobunaga who was furious at this outcome attacked Iwamura castle, and Nobutomo Akiyama and Kageto’s wife were killed. 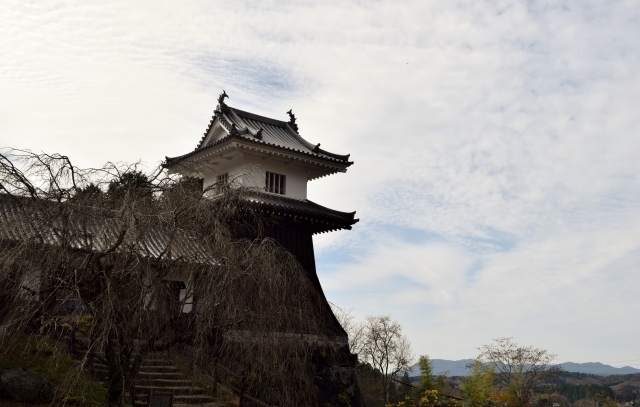 After that during Oda and Toyotomi era, the owner continued to change from the Mori family to the Tamaru family, and to the Matsudaira family, and when the Matsudaira family was the owner, Ienoru Matsudaira moved the main part of the castle to the foot of the mountain and established the castle town. 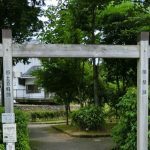 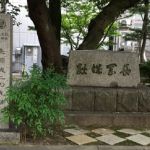 Niwa-shi became the owner in 1645, and in 1792 the Ogyumatsudaira family became the owner after Niwa-shi was transferred after having a family problem, until Meiji period.